Californian Megan Garber has only ever had one cell phone number. She’s kept it through five interstate moves and multiple devices, despite sales people having pushed her to get a new number. Practically speaking, the three-digit area code is a prefix to a phone number, a few inconsequential digits that are part of your phone connectivity. However, those three digits can be a personal statement of identity. For many, an area code is about location, acting as geo-identifiers for the user. For residential lines, it could be a cultural reference to a place or a nostalgic nod to one’s home state. This is true for many Vermonters who may wear “802″ on their t-shirts and hats in addition to having it as the first three digits of their phone numbers. For a business, this could mean a positioning strategy to align with a region, such as having a 650 or 408 area code to geolocate within the tech scene of Silicon Valley. An area code can also reference a timeline. As available phone numbers run out, overlay area codes are used for all new numbers. For example, when Philadelphia area code 215 was exhausted in 1997, new numbers were assigned a 267 area code. The result is that 215 phone numbers are numerically linked to the city’s history prior to the change. When Ashley Kizler was attending grad school in Washington D.C., her hometown of Richmond, VA stayed with her as a three-digit area code. “You find someone else who has an 804 area code, and you’re, like, ‘Hey! What’s going on! Richmond? Yeah!’,” said Kizler. In today’s culture, having a local number isn’t necessary, and it’s increasingly common to have a different area code than the one assigned to your physical location. This relatively recent phenomenon resulted from two instances. First, the United States Telecommunications Act of 1996 made number portability a requirement for phone carriers. Second, wireless phone culture has allowed phone numbers to travel with you, rather than being rooted to a landline location. Area code preferences aren’t always motivated by personal nostalgia. Sometimes, it’s about status. Just as designer labels are flaunted for the context and cachet, the three digits of an area code can have a similar effect. Interestingly, a phone number can hold more weight than a mailing address. One study found that 72 percent of people think that a desirable area code has more prestige than a good ZIP code. The public perception of an area code favors recognizability. Familiar local area codes can make the caller seem like someone from the neighborhood. That’s why phone number spoofing is a popular manipulating tool of illegal robocallers. Area code perception is also important to business identity, and 73 percent of people think that a recognizable area code can make a business appear more legitimate and professional. Certain area codes have prestige or desirability. One retailer of vanity phone numbers analyzed the data to reveal which ones are most requested. Here are the top 10 most sought-after area codes. Do you want your area code to indicate affluence? GoBankingRates dug into the data to identify which ones were geolocated to top-earning households. Below are the top 10 richest area codes, all of which have mean household incomes greater than $300,000. The desirability of 212 was even immortalized in a Seinfeld episode when Elaine didn’t want to be stuck with 646 and wrangles to get a 212 number after her neighbor dies. Currently, some vendors are buying up blocks of 212 numbers as they become available and reselling then for rates ranging between $100 and $15,000. 212: Placed into service in 1947, 212 was the first area code of New York. A 212 number is old school and mostly limited to Manhattan. 718: In the 1980s, NYC was split geographically, adding 718 for the outer boroughs of Brooklyn, Queens, Staten Island, and the Bronx. 917: In the early 1990s, 917 was added for cell phones and pagers. 646: Added in 1999, 646 was used for new numbers in Manhattan, both landlines and cell phones. Thus, the area code became a signifier of newcomers. 347: At the same time 646 was added to Manhattan, 347 was added as an overlay to the outer boroughs. 929: In 2011, 929 was added to the outer boroughs. 332: The latest addition, 332 was deployed in 2015 for new Manhattan numbers. However, just as 212 and 917 numbers have mostly been used up, the North American Numbering Plan Administrator predicts a similar fate for outer borough area codes of 718, 347, and 929, which are expected to be exhausted within the next decade. What numbers will be next? The only real guideline is that numbering systems should avoid using numbers that are too similar to help avoid the confusion or misdialing that could occur if the newest addition was 213. As you switch to Ooma’s VoIP phone service, you have several phone number options. Users can port their existing phone number to Ooma, thus letting you get the cost savings of switching to VoIP while keeping the same number. 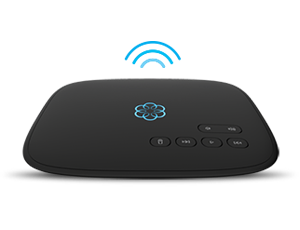 Porting is free for Ooma Premier subscribers, and Ooma Basic users can port their number for a fee. Businesses using Ooma Office have similar options to choose a new phone number or transfer an existing number for free. Plus, service includes a toll-free number so that in addition to having the right area code, your business can seem like a big deal. A total of 56 percent of small businesses say that the biggest benefit of having an 800 number is that they’re perceived as being larger. Learn more about how Ooma can help you have better phone service.